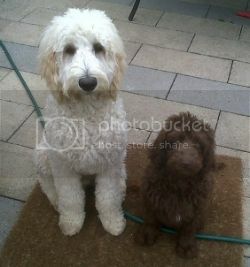 UK Labradoodle Association • View topic - Anyone else having problems with Private Messages? Anyone else having problems with Private Messages? Post subject: Anyone else having problems with Private Messages? I sent a PM today as it contained my phone number but it seems to be stuck in my outbox. I've noticed this before where it seems to take a long time to go but this has been since about 13:00 and it's now after 19:00. Any ideas how I can force it to go? Post subject: Re: Anyone else having problems with Private Messages?